Proven over generations this ingenious traditional use for the outer husk of a coconut is as a scraper for removing burnt on food from pans and roasting trays. The scraper has a blade-like edge at the front and a fibrous surface underneath that acts like a miniature scrubbing brush. First soak oven tray to be cleaned and scrape off the burnt on food without scratching. Safe for all surfaces including non-stick. Coconut husk contains compounds which resist bacterial and fungal growth. Each scraper and its string loop is hand-made. 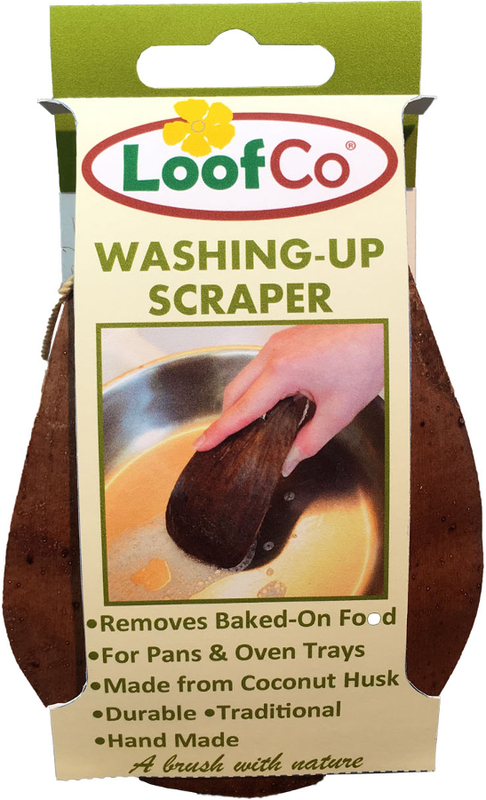 The Scraper will last up to 12 months and is 100% biodegradable at the end if its life. 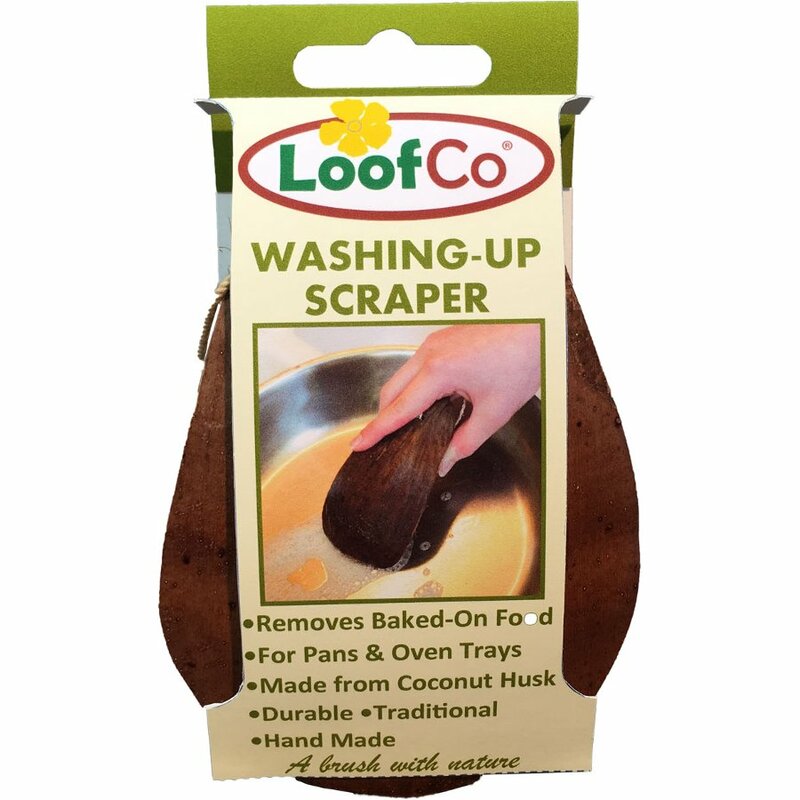 There are currently no questions to display about LoofCo Washing-Up Scraper.